O The Last of Us BRASIL é um fã site criado e mantido por fãs. É uma das comunidades mais ativas do game no mundo. O The Last of Us INSIDE é o primeiro canal do youtube no Brasil feito por fãs, a criar e promover vídeos episódicos sobre o game. The Last of Us é uma marca registrada da Sony Computer Entertainment America LLC. Criado e desenvolvido pela Naughty Dog‚ Inc. The Last of Us BRAZIL is a fan site created and maintained by fans. It is one of the most active communities of the game in the world. 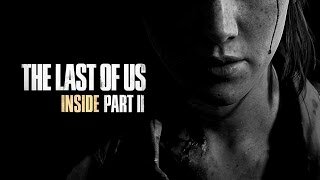 The Last of Us INSIDE is the first youtube channel in Brazil made by fans, creating and promoting episodic videos about the game. The Last of Us is a trademark of Sony Computer Entertainment America LLC. Created and developed by Naughty Dog, Inc.